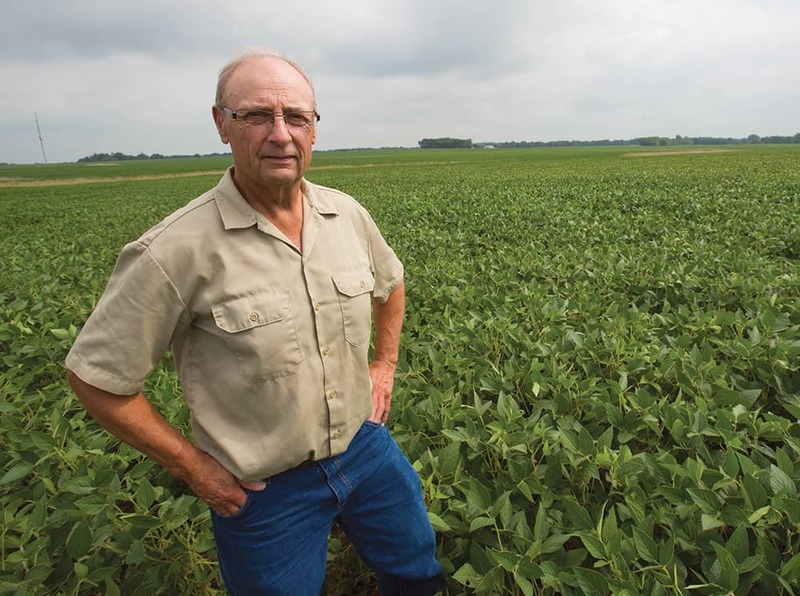 Wayne Fredericks, a strong conservationist and former president of the Iowa Soybean Association, began no-till soybean planting in 1992 and started strip-tilling corn in 2001. He began testing strips of cereal rye cover crops in 2012 on his farm near Osage in Mitchell County. Last fall, he seeded rye ahead of all of this year’s corn and soybean acres. He believes in a gradual approach. “Start somewhere. Try something,” he says. While soils and the growing season vary across Iowa, Fredericks offers the following considerations when planting into rye. Early cover crop termination is better than late, especially for corn. “My advice to beginners is to terminate early until you’re familiarized with working with this,” Fredericks says. Rye growth varies by the season but by mid-spring it can easily jump from knee-high to waist high in a week. If you expect to plant soybeans in early May, this might mean terminating rye the third week in April. In corn last year, Fredericks tested two termination dates into rye, April 23 and May 4, for all his corn planted May 5. He saw no yield difference. Fredericks cautions that results could be different in no-till corn versus strip-tilled corn. Adjust and maintain your planter with care. “When planting into cover crop residue, attention to the planter is probably the most important thing a person can do for a successful stand,” he says. Make sure the planter is running level. At least half of planters are running slightly nose down, affecting seed placement. Consider using row cleaners to manage residue. Row cleaners should barely touch the soil to avoid too much disturbance of the seedbed. He uses coulters when planting soybeans with a splitter bar with units 15 inches apart. Keep disc openers sharp. “We’ve been real religious at keeping our opener discs at factory-recommended specs,” he says. Replace them when they’ve worn off about a half-inch in diameter. Have enough downforce pressure in the row unit to cut through residue. “Down pressure is key to success,” Fredericks says. On an older planter that Fredericks set manually, he applied about 140 pounds in the strip-till rows for corn and the maximum 400 pounds for soybeans. With his current planter, the hydraulic downforce automatically adjusts pressure as soil conditions change. Adjust planting depth. “If you’re planting into high residue, you want to plant a little bit deeper. I set mine a quarter inch deeper than without a cover crop,” he says. In conclusion, Fredericks reminds that changes can gradually be incorporated into a cropping system. “We were set up for no-till and strip-till and didn’t have to change the planter just because of cover crops, other than planting a quarter-inch deeper,” he says. This entry was posted in New and tagged Current Story. Bookmark the permalink.